Box containing 30 Tablets (1mg, 2mg, 3mg). Box containing 10 Tablets (4mg, 6mg). 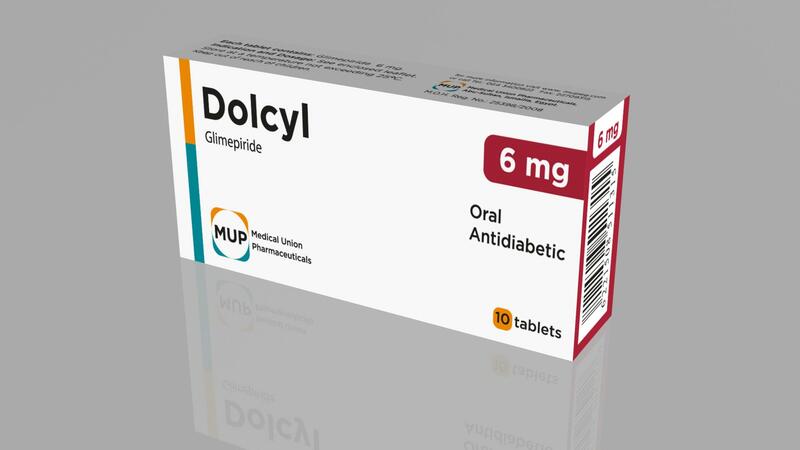 The usual starting dose of Dolcyl as initial therapy is 1-2 mg once daily, administered with breakfast or the first main meal. Those patients who may be more sensitive to hypoglycemic drugs should be started as 1 mg once daily, and should be titrated carefully. 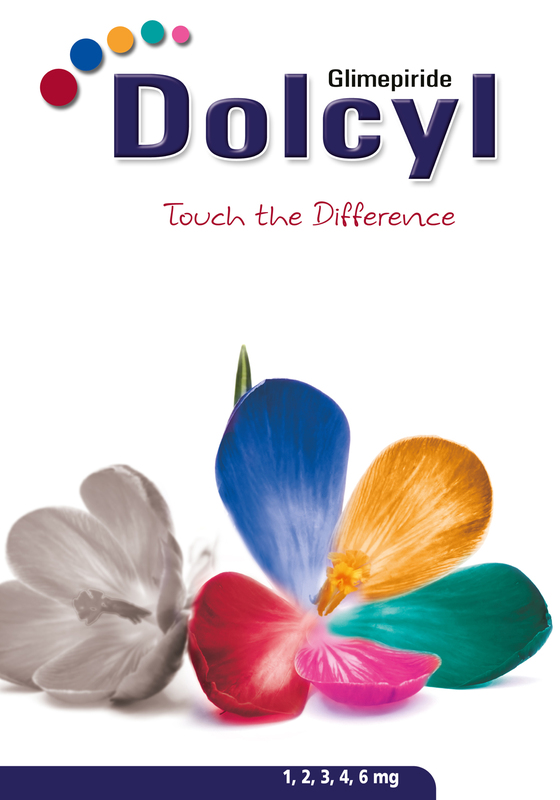 The maximum starting dose of Dolcyl should be not more than 2 mg. The usual maintenance dose is 1 to 4 mg once daily. The maximum recommended dose is 8 mg once daily. After reaching a dose of 2 mg, dosage increases should be made in increments of no more than 2 mg at 1-2 week intervals. Forgetting to take a dose, must never be corrected by subsequently taking a larger one. Dolcyl is indicated as an adjunct to diet and exercise to lower the blood glucose in patients with Non Insulin-Dependent Diabetes Mellitus (NIDDM) whose hyperglycemia cannot be controlled by diet and exercise alone. Dolcyl may be used concomitantly with metformin when diet, exercise, and Dolcyl or metformin alone do not result in adequate glycemic control. 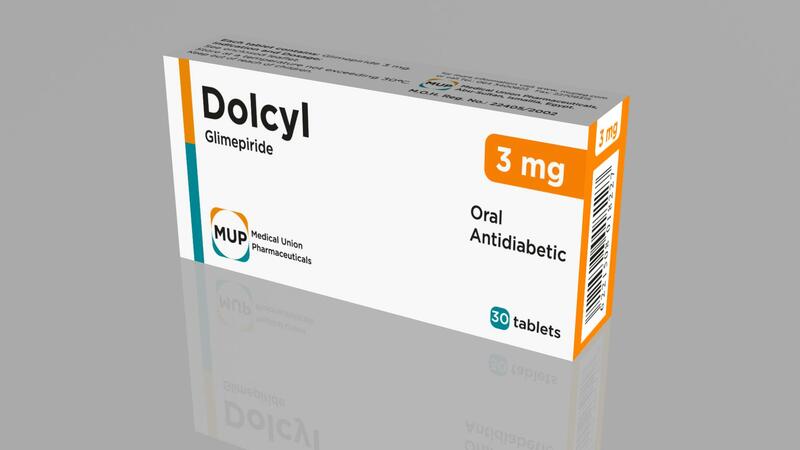 Dolcyl is also indicated for use in combination with insulin to lower blood glucose in patients whose hyperglycemia cannot be controlled by diet and exercise in conjunction with an oral hypoglycemic agent.